Norfolk Southern Atlanta Employees, this dental deal is for you! 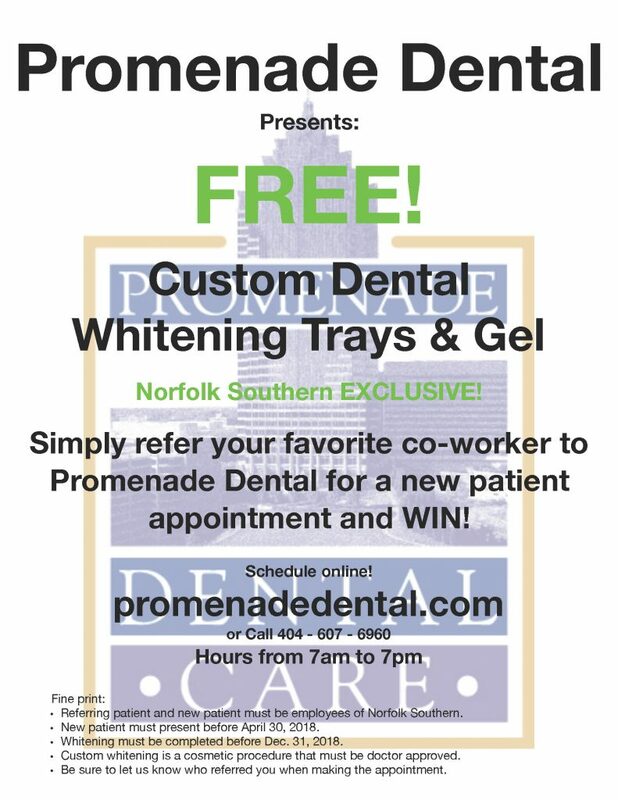 Receive FREE custom dental whitening trays and gel, simply by referring your favorite Norfolk Southern co-worker to our Promenade Dental Care office for a new patient appointment in Midtown, Atlanta. Available dentist hours from 7am-7pm. 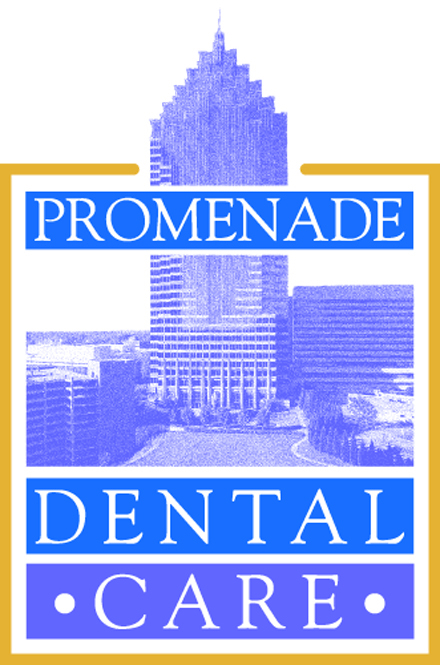 Contact us by calling 404-607-6960 to schedule your dental appointment or book online here. Referring patient and new patient must be employees of Norfolk Southern in Atlanta. New dental patient must present by April 30, 2018. Teeth whitening must be completed by December 31, 2018. 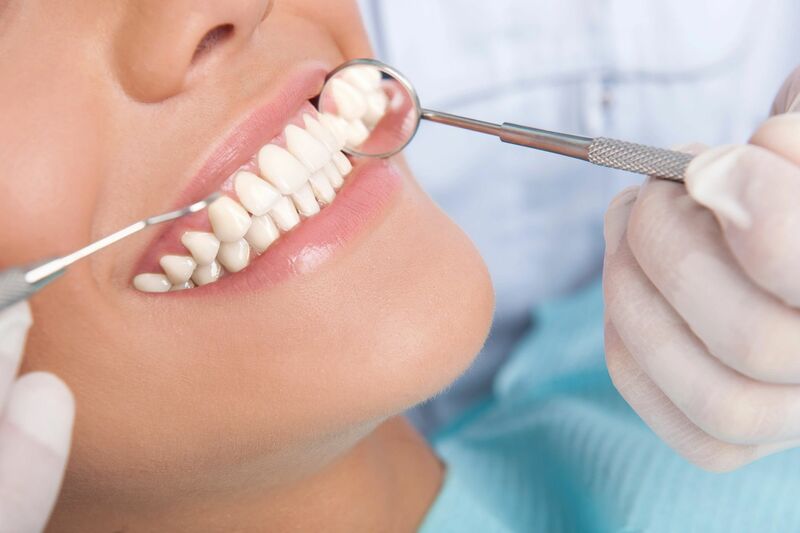 Custom teeth whitening is a cosmetic procedure that must be doctor approved. 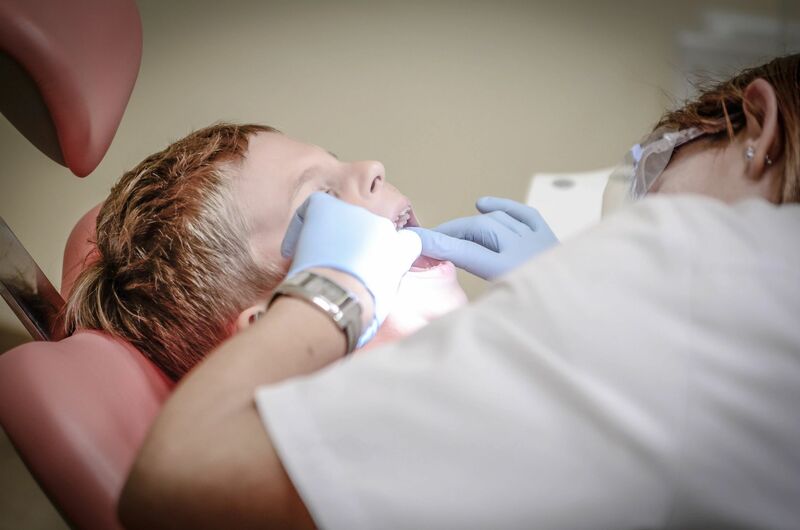 Be sure to let us know who referred you when making the appointment.